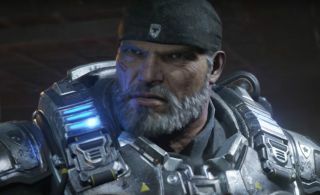 It sounds like something is stirring within the halls of Gears of War 4 developer The Coalition. Though the studio itself has been more or less silent on its future beyond the latest Gears game, an associated company proudly - yet briefly - proclaimed that it was working with The Coalition on an unspecified new intellectual property "currently in production 2017". That page was pulled offline earlier today, but you can still see it thanks to the Google cache. I found that announcement very odd, since (as far as I knew) The Coalition was a 100-percent Gears of War focused studio. The studio jumping over to a new IP would be like 343 Industries announcing that Halo 6 was on hold so it could make a new fishing game or something. Very weird. When I asked a Microsoft representative about StoryLab's announcement, they re-confirmed that "The Coalition is exclusively focused on Gears of War" but left it at that. So what does all of this actually mean? I can only speculate for now. I don't think StoryLab (an Official Microsoft Vendor, as the site proclaims) would fabricate an upcoming collaboration with one of its biggest partners. But its definition of "new IP" might be loose in this instance. Rather than an all-new creation, maybe this announcement entails a new take on the Gears of War universe? Gears of War 4 was well-received overall but never had the same impact as the Gears trilogy before it. There's no way Microsoft is ready to give up on the series yet - not after buying the license from original developer Epic and re-orienting an entire studio around it - so maybe it's looking for a different kind of Gears instead. Probably with lots of shoulder-high cover scattered around, though, because is it really still Gears without that? It may be a while before we see what, if anything, comes from this alleged new project. At least you can look forward to some of the best upcoming games of 2018 in the meantime.